Do you want to start your own WordPress Blog? Learn the right way to start a WordPress Blog immediately. 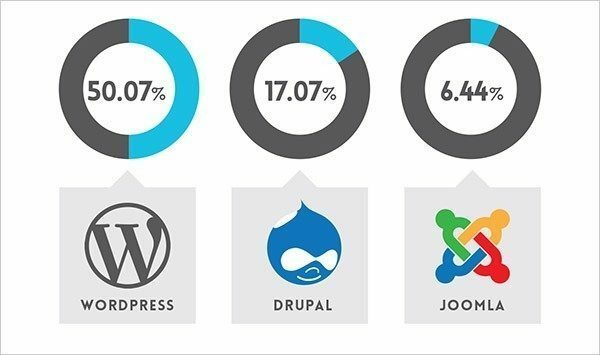 WordPress is one of the leading content management systems on the market today. WordPress works best for certain types of sites. Personal portfolios, blogs, and brochure sites, for instance, are super-easy with WordPress. Prior to 2004, most websites were designed using HTML, CSS, and PHP code but today content management systems (CMS) have taken over the industry. These web design platforms do most of the coding work for you — all you need to do is add content. WordPress is one of the most popular platforms on which you can design an attractive and functional website. WordPress is free, flexible, and ideal for large or small-scale operations. Thanks to well-developed WordPress plugins, you can also easily build e-commerce sites as the eCommerce WordPress Theme, job boards, social networks, and other custom sites. WHY CHOOSE WORDPRESS BLOGGING PER SE? Click a button to publish your post. Blog is extremely easy to add information to it. A blog is like an online journal, so you just log in, type what happened today, post it, and it is done. You can add a simple little feature that automatically tells a whole bunch of another website that you have made an update to your blog – every time you make a change. There is a “comments” system like others blog system that allows bloggers to have “conversations” with their readers by allowing visitors to post their comments or views on the topic of discussion. So if you want to build a website using WordPress as the Restaurant WordPress Theme, this tutorial will cover up everything you need to make a website from scratch. I realize that many of you are desiring to build a website but you may not have the technical skills or the know-how, that’s okay. In this tutorial, we’ll go over how to build a website using WordPress, starting with installing WordPress and then working all the way through customizing with themes and plugins. You do not need any coding experience because we make it easy for you to build a website from scratch, just simply use your imagination and a few clicks of the mouse. As you can see, over half of the websites on the internet are running on the WordPress website platform. Why should WordPress be chosen to build a website? It’s totally FREE, with loads of layouts to choose from. WordPress is Easy to Use and Learn. WordPress is Extendable by Using Themes and Plugins. WordPress is Search Engine Friendly and Mobile-friendly. It’s the easiest platform I’ve ever worked with, but it’s flexible enough to suit everyone from small business owners and freelancers to creative artists and bloggers. I hope you had your own choice to build a website. If it is WordPress, let’s move on to the next steps for boosting your WordPress website from scratch. Here is a step by step process for designing your own WordPress site. Register for a domain name — It is ideal to pick something catchy that people will remember while also representing your business or enterprise. This is how people are going to find you on the internet. Select and register for a web hosting service — Bluehost is a popular option that works well with WordPress, allowing for 1-click installation. Now that you have a web host, you can log into your account and select the “Wordpress” or “website” option from your control panel. Select your domain name, click install now, and receive immediate access to your new WordPress site. Choose a theme or template for your website. This is where you can get creative and pick a theme that suits your brand, whether it’s a personal blog, a website for a restaurant, or an accounting agency. Click on your WordPress dashboard in the left-hand corner, go to “Appearances”, and click “Themes”. Here is a link to a list of free WordPress themes. Now it’s time to start adding content! Click on “Pages” under your Dashboard and then “Add New”. Think about adding an “About Me” page, “Services”, or “Contact Us”. These are static pages that you will always have on your website and can be added to your menu bar. If you have a blog for your website or you want to create dynamic pages that you plan on updating over time, you’re going to want to add “Posts”. To add posts or pages to a menu bar, go to “Appearance” and then “Menus”. Select a page or post you created and add it to your menu by clicking the checkbox and selecting “Add to Menu”. How to start a blog would require you to choose a name. It would seem the easiest but this should be something not to be taken lightly. Choosing a name and sticking to it would take away the hassles of renaming and moving your blog someplace else. The best names are memorable, simple and can pass as a brand name. If you can see the name on calling cards, a T-shirt or even a letterhead, and that is something that you can be proud of telling people about, then go with it. Next would be if the name is available as a domain. This is the tricky part as you may need to change the name if it already exists. Because of this, creativity in naming is a must. You can refer to some domain search tools like Name fresh that can help you search for domain names. If you get it free from a web hosting company, your domain name will include the company’s name. I don’t encourage you to use “Free” domain unless your objective of creating a blog is just to create a platform to share your journal with your offline friends. Your domain name is easy to remember. Your customers always know how to get to your site. It can entice people surfing the Web to visit your site before someone else’s. You can easily move your site to another host while keeping your domain name. No web host company’s advertisement on your website. You can easily customize your look and web template at your wish. You can get a Free domain name from these hosting website with the purchase of web hosting, 1and1 is one of our favorite web hosting company that I tested personally. Getting a good domain extension comes next. If you cater to the local market, choose something like .com.au, or .com.ph. If your target is to service globally, then go with .com or .net. Also, check if the social media handles are available for the name selected. For web hosting, there are many options out there. If you’re a newbie and just starting out, a shared hosting would best suit you. It is advisable to get a Linux based host that has CPanel so you could easily manage your domain and hosting account. For websites with major traffic, opt to go with a more robust setup that can easily support your needs and would take care of WordPress installation, site performance, and backups. When you choose a web host provider, the service is always the key factor you should look at. I had done a lot of internet research before I selected these web hosting sites to provide the best hosting services from beginners to advanced users: HostGator, BlueHost, Host Monster and Lunarpages. The reason I choose them because of their reliable services, they have excellent customer service available 24 hours a day. Their uptime is 99.98%, and they had super-fast connectivity and made my web pages were loaded quickly. Secondly, their price is also compatible. Now it’s time to get your website up and running. The next thing you’ll need to do is installing WordPress to your domain. How to start a blog is made easy through WordPress. WordPress is known for being user-friendly and easy to install. It takes less than 5 minutes to set up. First, here are the things you need have and do now before you install WordPress: You should have access to your web server, you need a text editor, an FTP Client, and your chosen web browser. Checking your web host should have the minimum requirement to run WordPress. You are equipped to download the latest version of WordPress. The downloaded file should be unzipped. The secure password should be created. WordPress package should be downloaded and unzipped. Make a database for WordPress on the web server. Create a MySQL user that has privileges for all access and to modify. It will provide your username and password to login to your WordPress admin panel. After login, go to the setting page and change according to your requirements. Upload WordPress files to your preferred location on the web server. If you choose to integrate WordPress into the root of the domain, upload or move all contents of the WP directory excluding the WP directory into the root directory of the word server. Access the URL in the web browser and run the WordPress installation script. The URL used should be the one where you uploaded the WordPress files. Given that WordPress is so easy to install, let’s go more into the details of choosing the right domain name and hosting. It’s Twenty Fifteen – default theme for WordPress in 2015. But this theme is so basic and maybe you need more layouts, more features, more colors for your site, so you’ll need to change your WordPress theme. Thanks for WordPress with the ability to change your theme in any time you want to. So this guide will show you the quickest way to change your WordPress theme. To set up the WordPress theme, go to Appearances> Themes and from here, click on “Add New” button and start choosing from the themes displayed. You can check out all themes in theme collection. After choosing a theme, customize it by going to Appearance> Customize.Widgets are code that adds to a function which is useful for your website. Headers, footers, and sidebars can be put in using widgets. 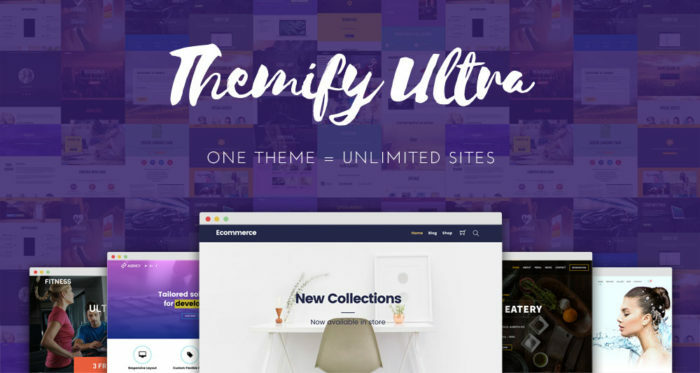 If you don’t know what WordPress will be compatible with your business, you can check out the collection of many kinds of WordPress themes by WPArena: WordPress Themes Collections or try Themify theme explained below. Menus are very important for websites. For most websites around, you can see the menus on the top of the screen which mostly has pages “About”, “Contact Us”, “Services” etc. You can choose any page you’d like to put in your blog. The positioning or placement of the menu would be dependent on the theme was chosen. Tips for a good menu: it should be intuitive, concise, and a representation of what your site has to offer. Background usually comes in plain colors. Keep it simple. Adding new Plugins such as social sharing enables you to share content all across different social sites and spread the word out that your blog is great. Other plugins can be for security, maintaining a portfolio for images, or contact forms. Next, you need to install some useful plugins for WordPress. Plugins are tools which provide additional functionality to your application. Now your WordPress site have almost completed, I think you should concern about WordPress Security. WordPress itself is a very secure platform. However, in some cases, WordPress blogs are compromised because of their outdated core files and/or plugins which might be traceable and it’s an open invitation to hackers. How to keep your blog away from the bad guys for good? Follow these articles written by us. Through all of them will help you have a best WordPress security strategy. Adding pages to your website helps in segmenting your content. With putting pages, you can customize them too and have specific templates done Pages can be made to be part of the Contact Us requirement or a landing page. The most important of all would be content. Content should be full of value and for your readers. There are thousands and thousands of websites that may be similar to yours and what would set you apart is the content that you share with your audience. Highly popular and widely read are tutorials, how to’s, Getting to know your audience is critical in choosing the best content for your blog. While there are many additional tools you can use to improve your WordPress site, these tips from a web design agency should be just enough to get you started. If you’ve followed the steps in this guide, you should now have a fully-functional WordPress website. I hope you found this tutorial really useful and easy to understand how to build a website using WordPress. If you have any question or need further help with one of these steps or feedback anything, don’t be hesitate to share with us. We’ll be very pleased to answer or share our knowledge.